Barstow connections to cattle actually began with Herefords instead of Angus. Back in the early to mid 1900s, Paul and Jenny Barstow, Marlan Barstow’s parents, were mainly wheat farmers, but they dabbled in cattle, too. They had Hereford cows and calved them, raising the calves, feeding them out, and shipping them to Kansas City by railroad. Marlan and Shirley continued ranching on the family place in Kansas. However, another state began to look appealing to them: Nebraska. During the years that they raised Herefords, they would travel to South Dakota and Nebraska sales in the winter to buy feeder cattle. Those trips piqued their interest in Nebraska as a potential new home. In particular, they liked the Springview area: with its river and trees, it was an attractive contrast to the flat landscape back home. In 1976 they purchased the home place near Springview, where Neri and Patty live and where bull sales are held. 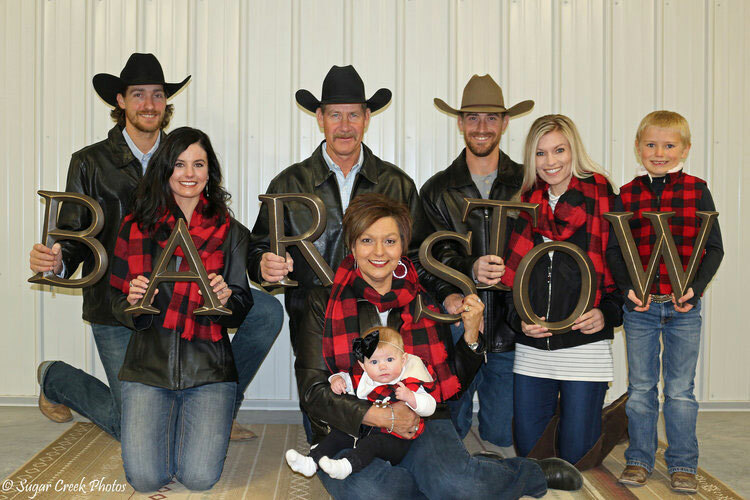 Click here to read more about Barstow Angus Ranch! Like our story? Share with friends!